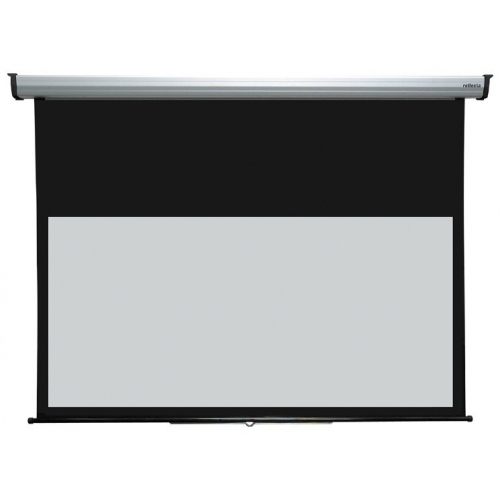 Product Description The reflecta large projection screen to be fixed permanently to a wall or ceiling is mounted to an aluminum profile case and is operated manually. The screen is equipped with a locking mechanism to stop the screen at intermediate heights to adjust to different projection formats. Ideal for the training and communications sector.